I designed this package and built this model for Model King. 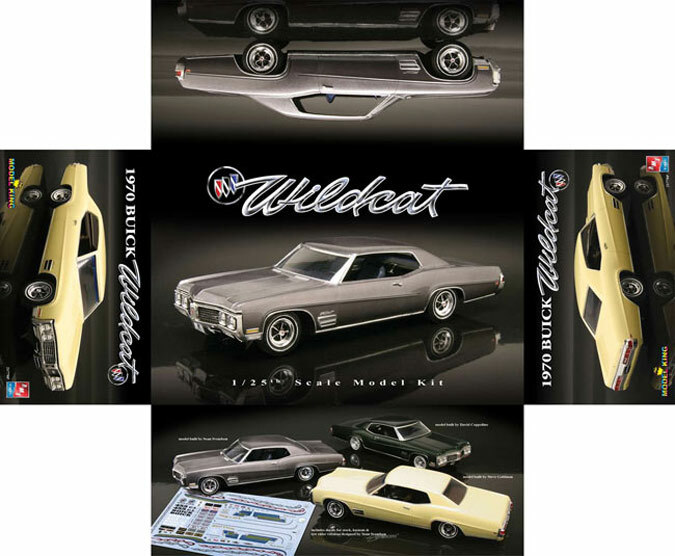 It's a re-issue of the AMT 1970 Buick Wildcat kit that hasn't been available since the early '70's. Dave Burket wanted to have several people build models for the box photography so I built the gray one, Steve Goldman built the yellow one and David Coppolino built the green one. 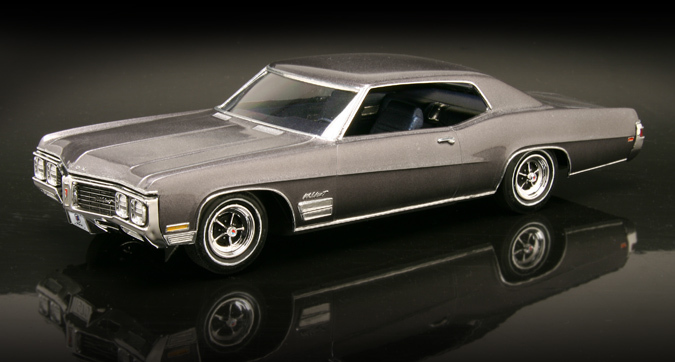 For my car, Dave suggested doing the car in metallic gray with a blue interior. I used Tamiya metallic med. gray shot straight from the can and then clear coated it with PPG urethane shot through an airbrush. I then custom mixed a dark blue metallic color and sprayed the interior. For this box design I wanted to try and do something simple and elegant, so I decided to rely mostly on photography. I was inspired by some of the '70's Buick car brochures I have where they shot the cars in a studio sitting in an inch of water to get a reflection on the ground. I photographed all the models on a piece of gloss black sheet acrylic and got a similar effect. 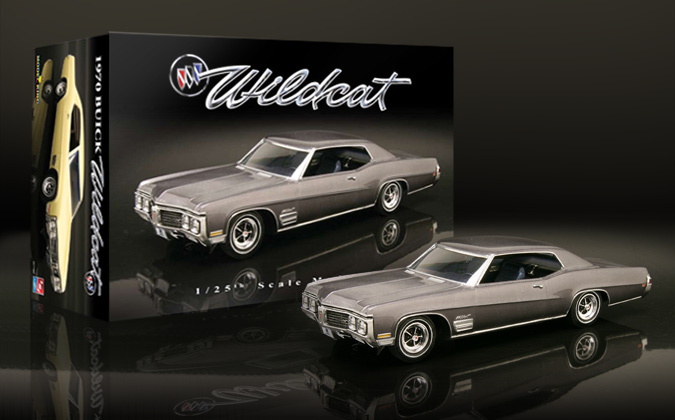 Then to compliment the photos I created a 3D looking chrome Wildcat emblem in Photoshop for the type.